Kootenay is adjacent to two other national parks: Banff (which borders to the east) and Yoho (which borders to the north). 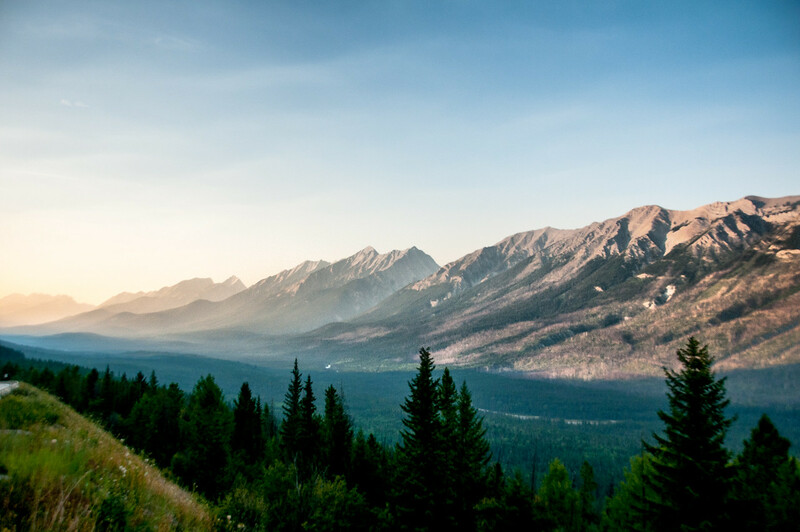 It is also a component of the Canadian Rocky Mountain Parks UNESCO World Heritage Site. As with Yoho, there is one primary highway which runs through the park, and everything you’d want to see is accessible from that road. It is larger than Yoho and as such there is more to see. The most notable attraction in the park are the Radium Hot Springs, from which the nearby town of Radium gets its name. 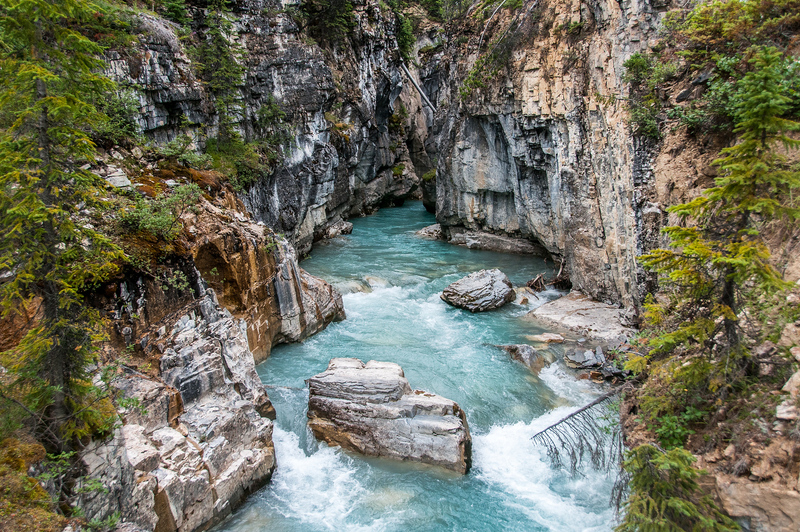 Other stops worth taking some time to visit include Marble Canyon (shown above), Kootenay Valley Viewpoint, Numa Falls, and the Paint Pots. 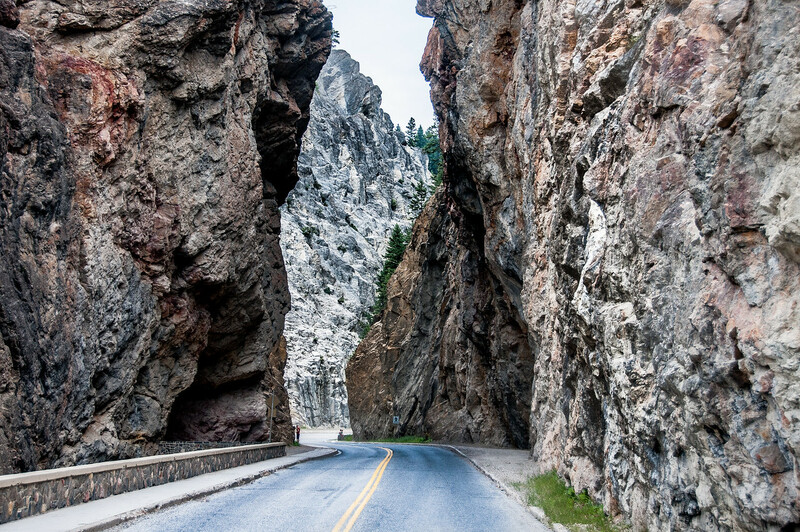 Like Yoho, Kootenay can be visited on a day trip if you are in Banff as most of the attractions are located along Highway 93. If you wish to stay near the park, the closest town would be Radium, BC which is located right at the southern border of the park. Since the park is relatively small in width, many of the attractions are easily accessible from the road. It is also suitable for those that require wheelchair access. The Kootenay National Park is also filled with many backcountry attractions. Floe Lake is one of them. This picturesque lake features a 10.7-kilometer hiking trail that you can access from Highway 93. If you are looking for another day-time hiking destination, head to Kaufman Lake. For mountaineering enthusiasts, the Neil Colgan Hut above the Valley of the Ten Peaks is a notable destination. There are many backpacking trails available in the park but you need to plan ahead as most of these trails are strenuous. You need to choose a trail that would suit your skill level.